Spectacular views as far as your eyes can see. 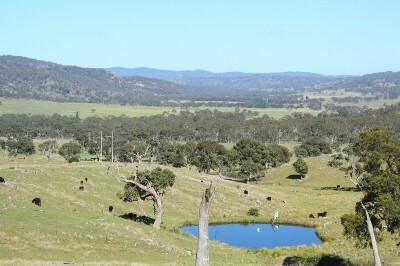 1339 acres of undulating blue granite and traprock country with steeper ridges is found 30kms South of Tenterfield. Receiving an average rainfall of 33''pa, captured by Splitters Swamp Creek and 21 dams make this property well watered. There are 11 paddocks of good grazing country with fencing in fair to good condition allowing you to run 180 breeders. With an elevation of 900 to 1100metres this property truly makes for a magnificent sight.